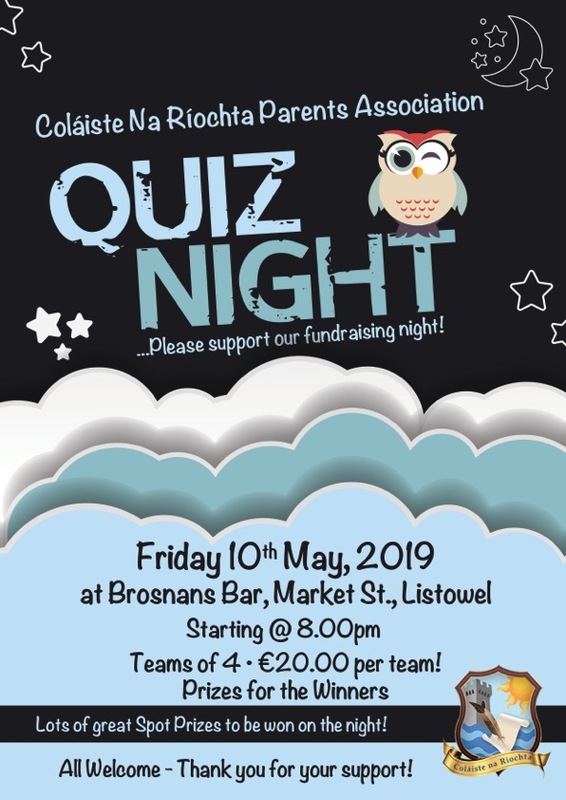 Calling all past students and staff of Colaiste na Riochta to come and support our fundraising quiz night in Brosnans Bar on Friday 10th of May starting @ 8pm. 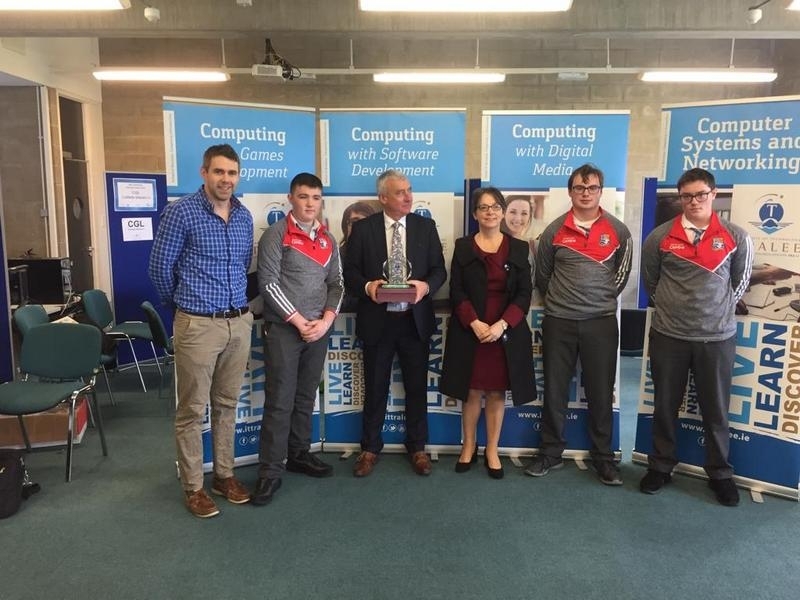 Great fun and craic will be had on the night and it gives us a great opportunity to catch up with past students and staff and promote the great work being carried our within Colaiste Na Riochta. You can enter with your own team or we will find you team mates on the night.